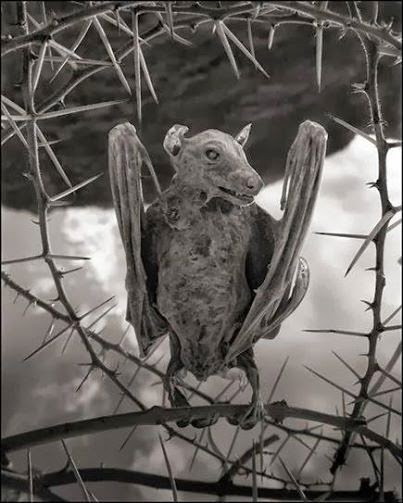 The lake Natron in Northern Tanzania has been welcoming a lot of attention ever since the photographer Nick Brandt happened to grab hold of a few images of dead birds and such creatures off the coast. Of course there is nothing fascinating about the pictures of dead creatures, but what makes you gasp in a deep breath would be the way they were found on the shoreline – they were petrified. Natron is one among the most alkaline lakes in the world with enormous amounts of sodium carbonate and baking soda that are believed to have contained in it from the volcanic ashes of the Great Rift Valley. And that’s how the name was coined. It holds within itself such harsh environment that barely any organism could survive within it unless they are adapted to it,like the extremophile fish and certain algae. The lake can reach a surface temperature of about 60 °C and a pH as high as 10. This might be just enough to burn the skin and gradually pull away its life. The whole phenomenon is believed to be due to the chemical composition of the lake which turns the animals into a shape resembling the Egyptian mummies. Nevertheless,as against the popular belief that the lake turns anything into a stone, the process doesn't necessarily turn every living un-adapted creature into a stony mass and it’s not essentially an instantaneous process, rather it occurs over extended periods.The place is a huge breeding ground for the North Africa’s lesser flamingos and certainly they come out alive, and yes, some might get trapped into this nature’s magic box turning itself into the epitome of misfortune.